I have a sneaking suspicion that anyone describing Thomas Keller as a ‘celebrity chef’ would get pretty short shrift if speaking to the man himself. Whilst the facts are irrefutable – Michelin 3-star restaurants (not one, but two), best-selling cookbook, ‘diffusion’ line of restaurants from Las Vegas to Beverly Hills – Keller remains a quietly authoritative figure, seemingly more at home in serious interviews than mooning for the TV cameras, more likely to be thinking deeply about his business and his recipes than negotiating his next reality TV deal. Born in California in 1955, Keller’s formative culinary influence was not, like many great chefs, at the apron-strings of his mother. Though Betty Keller was a restaurant manager, as a single parent (following divorce) she had little time to cook at home. In an interview with Epicurean Traveller magazine Keller cites his Aunt’s dish of squirrel with fried green tomatoes as an early food memory, but his older brother Joseph, a chef with his own restaurant in Las Vegas, was his first cookery mentor. Joseph laid the foundations of stocks, sauces and cooking techniques onto which the young Thomas Keller would build. Keller’s culinary skills were honed and his horizons expanded by working in a number of restaurants in the USA, before heading to France in 1983 and stints with both Guy Savoy and Taillevent. Returning to New York he opened his first restaurant in 1986. After a while he headed back to California and, in 1994, established The French Laundry in the small but perfectly formed town of Yountville in the Napa Valley. Since then, the mythology has barely kept up with the reality of Keller’s ascendency to the top, not just of American restaurants, but of global cuisine. A string of awards, glowing reviews and word-of-mouth whispering about “the best restaurant in the world” brought The French Laundry to my attention in the late 90s. I ate there for the first time in 2002. 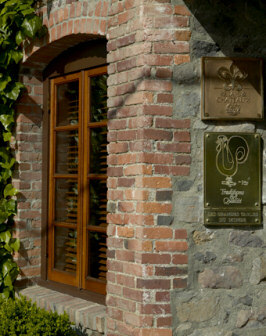 Since then, I have been lucky enough to eat at the French Laundry several times. Reflecting on what makes it so special, I think the answer lies in Keller’s ability to blend humanity with haute cuisine, and to ensure a sense of playful adventure is an essential part of the experience. The French Laundry’s customers number the rich, famous and seriously foodie, but everyone who dines here needs to check some of that wealth, fame and knowledge in at reception and simply jump on board for the ride. Dishes like ‘Coffee and Donuts’ or ‘Macaroni and Cheese’ whisk you back to your own formative years, even though the originals probably differed from cappuccino semi-freddo with feather-light cinnamon doughnuts or butter-poached lobster in an Orzo pasta broth enriched with mascarpone. I have no idea if Thomas Keller tires of people raving over such stalwarts of his menu, since innovation is continuous here and the menu changes constantly, but these dishes help explain what makes Keller’s restaurant so unique: the level of sophistication, complexity and detail is extraordinary, the flavours and balance never less than superb, and yet it is clear the root of these dishes is a warm, generous and emotional response to his food memories, interpreted today as witty, intelligent and deliciously thought-provoking dishes. Today Keller’s empire includes a second restaurant to which the Michelin guide has also awarded three stars: Per Se in New York city. Whilst The French Laundry and Per Se anchor the portfolio, there is also now a small string of bistros and bakeries under the ‘Bouchon’ brand and, most recently, ‘Ad Hoc’, a family-style restaurant in Yountville where a simple but sophisticated dinner will leave change from $50. 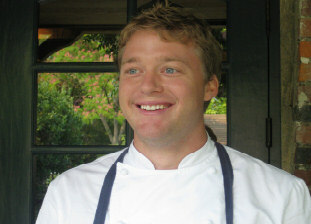 My most recent dinner in the French Laundry was in Autumn 2010. That gave me a fascinating chance to contrast and compare, because just a few months earlier I had eaten at Per Se in Manhattan. Keller famously devolves power to his restaurant managers and chefs, so whilst many of the French Laundry’s most revered dishes have transferred to New York, there are twists and turns that give it a distinct personality. The two premises could not be more different either: The French Laundry (left) is a beautiful, stone and timber building dating from 1880 that sits opposite Chef Keller’s herb and vegetable plot. Per Se occupies a high-rent position in the glitzy Time Warner building on the corner of Times Square, and whilst little references of colour and materials join the two, the New York restaurant ramps up the glamour with its grand scale, opulent furnishings and glittering views over Manhattan. Thankfully the same discreet, charming and friendly service soon blows away any fears that this place will be style over substance. Keller’s ethos is present and correct. 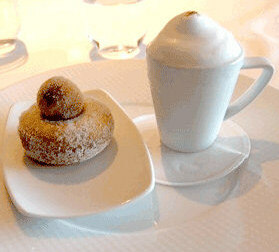 My meal at Per Se has been written up in full in our US East Coast dining guide. A meal there follows an identical pattern to the French Laundry, of a nominal nine courses (not counting the array of little pre- and post-course treats) that can also taken as a vegetarian option. On my visit the New York kitchen was on spectacular form. On returning to the French Laundry a couple of months ago I couldn’t help but feel a very slight sense of trepidation: would familiarity make the experience any less special? Would my recent meal in New York, where so many classic FL dishes appeared, make this most surprising and refreshing of menus seem somehow passé? Walking through the door into the quietly buzzy dining room my fears were instantly eased by the gracious welcome of General Manager Nicolas Fanucci and Maître D’ Larry Nadeau. They work the room with unflappable charm and quiet authority, making sure each guest feels relaxed, and yet ensuring they are about to experience something very special. Since my previous visit in 2008 Chef Corey Lee has gone on to open his own restaurant, Benu, in San Francisco. Stepping up to the hot-plate as Chef de Cuisine is Tim Hollingsworth (right), on the team since 2002 and a young chef whose experience has included stages with Gordon Ramsay and Michel Rostang. I have to say that whether it was this particularly beautiful and balmy Californian autumn evening, or the genuine warmth of the welcome here – or perhaps a glass or two of Krug to kick-start the night – but I thought this was possibly my best ever meal at the French Laundry. And that, of course, is saying something. Highlights? Well, I do not want to go into the forensic detail of the tumbling, mesmerising parade of perfectly conceived and executed dishes that kept us at our table into the wee small hours, but a few examples might help evoke the artistry, flavours and textures of the French Laundry’s food. I will never tire of classic dishes like ‘Oysters and Pearls’ – the pearls being pearl tapioca and caviar from Californian white sturgeon in a light sabayon – or of Snake River Farms Calotte de Bouef (from a cattle cross of Japanese Wagyu and American Black Angus), presented as a little plank of perfectly seared steak, crisp and blackened outside, pink and glistening with juice inside, served atop a salad of matsutake mushrooms, water chestnuts and Asian pears from the three-acre market garden opposite the restaurant. But there were so many extraordinary new flavours and combinations here too, many showing Pacific rim influences like the most delicate yet piquant textures and flavour of Sashimi of Kanpachi belly with Akita Komachi rice, miso, navel orange and radish. Googling will reveal some enormously detailed reports from other writers of each dish and each component of a meal here. But dining at the French Laundry really is more than the sum of its parts: the willing diner steps on board for a journey that will deliver one of the most complete culinary and sensory experiences on the planet. Part of that is wine of course, and on this occasion I abandoned myself totally to head sommelier Dennis Kelly, who put together a selection for us from his all-encompassing, 100-page list. I have to say Denis’s choices were instinctively in-tune with my tastes, and some of the combinations like Tondonia’s Reserva Blanco 1990 with veal tongue, summer squash and parmesan, or Neillon’s Chevalier-Montrachet with sweet butter-poached Maine lobster and black truffle were simply some of my greatest ever food/wine matching experiences. Hollingsworth and the current kitchen and front of house team seem to have raised the bar yet again. This evening unfolded like a symphony, full of quieter passages, pulsing small crescendos, and all the time moving towards a beautiful resolution. 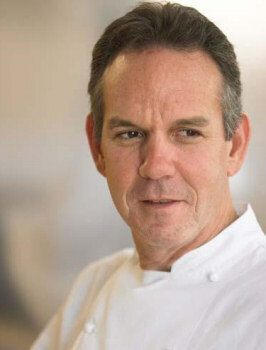 Over two decades Chef Thomas Keller has helped change the face of American fine dining, and the wealth of young chefs and front of house staff being trained to deliver the food and guest experience to this extraordinary standard is a wonderful legacy to have put in place. The difficulty in securing a table and the relatively high price of dining here might put some wine and food lovers off trying. But I believe this might just be the most completely realised fine dining experience of any restaurant in the world. All I can say is: just do it. The nine course menu costs $270, including service, mineral waters and coffee. There is an outstanding selection of wines by the glass and half bottle, with full bottles starting around $60 and rising to dizzying heights – with five vintages of Romanée-Conti’s Montrachet for example. BYO is also allowed for wines not on the list, with a $75 corkage per bottle. Jackets are required, but not ties. Reservations: +1 707 944 2380 There is a choice of lodgings nine miles to the south in Napa, but if possible stay in Yountville. B&B accommodation fills up quickly and at eye-watering prices on weekends. I stayed in the Bardessono. This Spa hotel is three minutes stroll to the French Laundry and offers a Zen-like atmosphere with running water and rockpools throughout its low level buildings. An ‘eco’ hotel, its 62 bedrooms are deeply luxurious and filled with state of the art technology, yet materials are largely reclaimed. The on-site restaurant has very good reputation. Suites from $400 per night. Reservations: 707 204 6000.